Check out Pink Panther's favorites from this month! 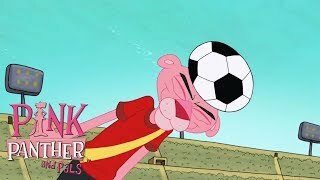 (1) Pink Panther's soccer team must play against Big Nose's team of evil robots. 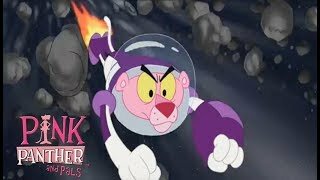 (2) Pink Panther's scooter breaks down. When Pink Panther tries to repair it, he finds monsters inside that become threats to the city. (3) Pink Panther buys a machine that multiplies things. Four Pink Panthers result and the three clones wreak havoc. (4) Pink Panther tries to deliver a package to Big Nose, who doesn't allow any people to walk on his property. 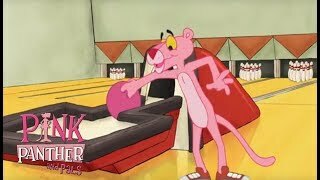 (5) Pink Panther and Big Nose chase after a very coveted baseball. 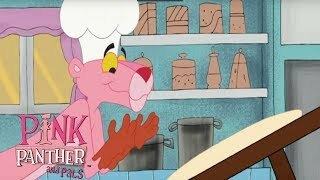 (6) Pink Panther, hungry after skateboarding, wants to eat at a nice restaurant run by Big Nose. (7) Big Nose, a wildlife photographer, is dedicated to finally capture a photo of the elusive Pink Panther. (8) After the Pink Panther finds the skate park closed, he drains his neighborhood pool to use as an impromptu skate park, only to find that his neighbor Big Nose wants to use the pool to lounge. The two fight over who gets to use the pool.